A hernia can occur in various places within your body, including around your groin area, within your stomach, near the belly button, or on your upper thigh. It’s basically a bulge of tissue that is not in its proper place. As it pushes against the muscle wall, you’ll see a noticeable protrusion. The primary symptom of a hernia, in addition to the protrusion, is pain and discomfort at the sport where the hernia appears. You may experience more intense pain when you stand up or when you strain your muscles, such as during exercise. Lifting anything heavy may also cause more pain. The most common treatment to repair a hernia is surgery. While this may sound unpleasant, serious risks are associated with leaving a hernia untreated. These risks include extreme pain and discomfort, infection, tissue death, swelling, gangrene, perforation of your intestines, and in extreme cases, death. A noticeable protrusion, swelling, or pain around your groin area should prompt immediate medical attention. If you’ve recently had a surgical cut around your belly button or groin, you may develop a protrusion or swelling. These symptoms should also be examined by a professional right away. No matter what specific symptoms you’re suffering from, it’s important to get a proper diagnosis for a hernia from a medical professional. 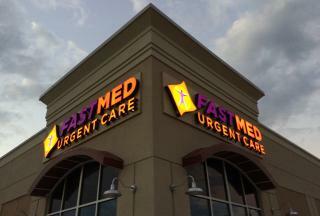 At FastMed Urgent Care, we can diagnose a hernia and refer you to a medical specialist for further treatment. We’ll make the appointment for you and forward all your digital medical records. The medical professional you see can also give you information for managing the pain associated with hernias while you wait for further treatment, prescribe pain medication, or recommend special medical equipment that can keep the hernia in its proper location prior to surgery. For more information about FastMed and the medical services we provide, visit the FAQs page of our website.